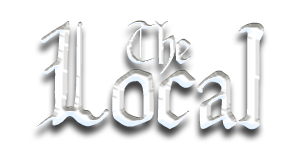 Ninchilla Films: The Local is live! And with the push of a button, The Local is now live and viewable on YouTube! As time goes on and views go up, we'll also be making some special features like the Soundtrack and Outtakes available, so Like the video and Share it with anyone who'll listen! Enormous thanks are due again to everyone who was involved with the production, and to all of you who've watched, Liked and shared our films so far.